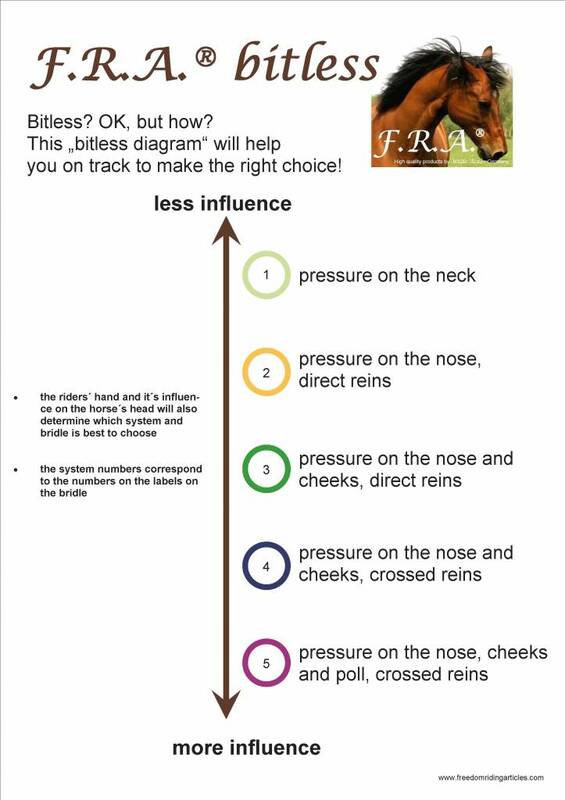 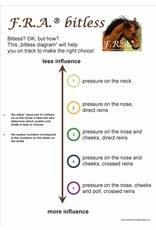 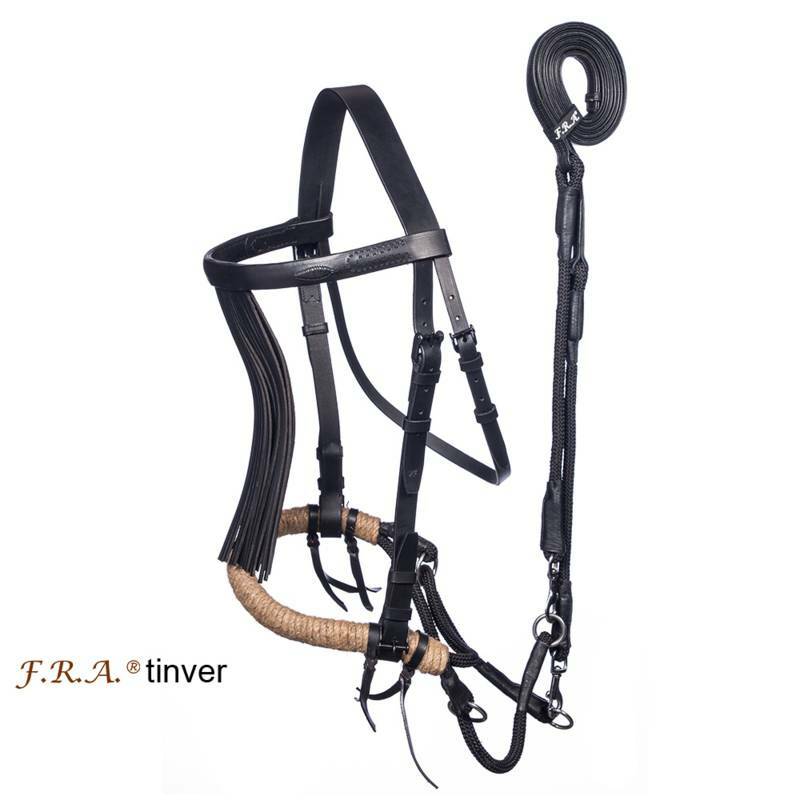 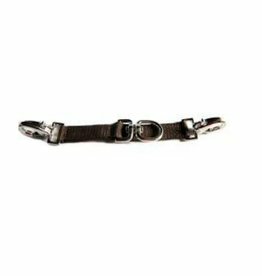 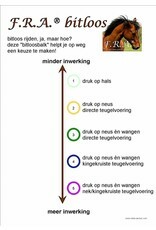 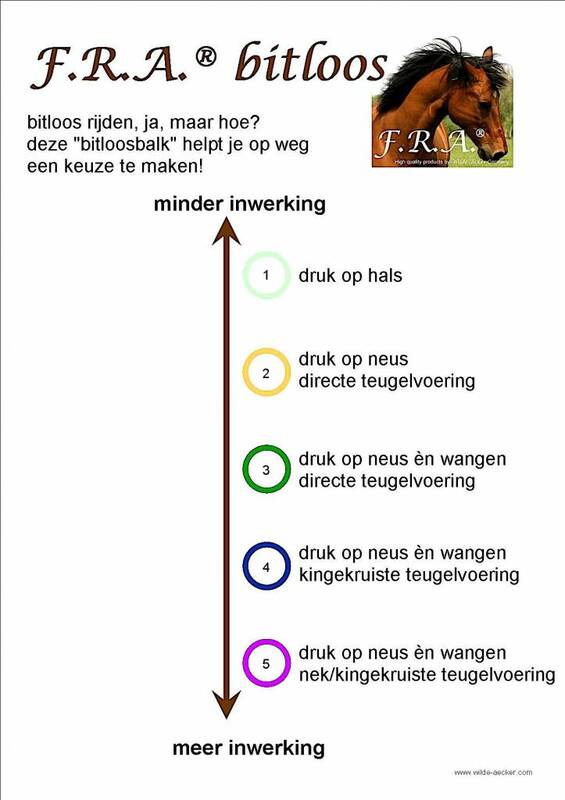 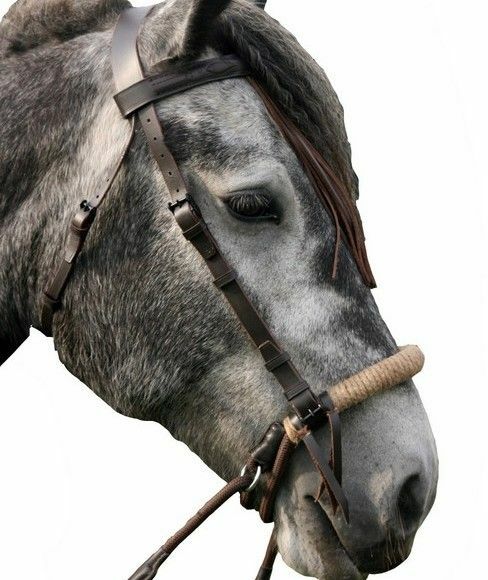 The FRA Tinver cross-under bitless bridle is specially designed for the extra large horses. 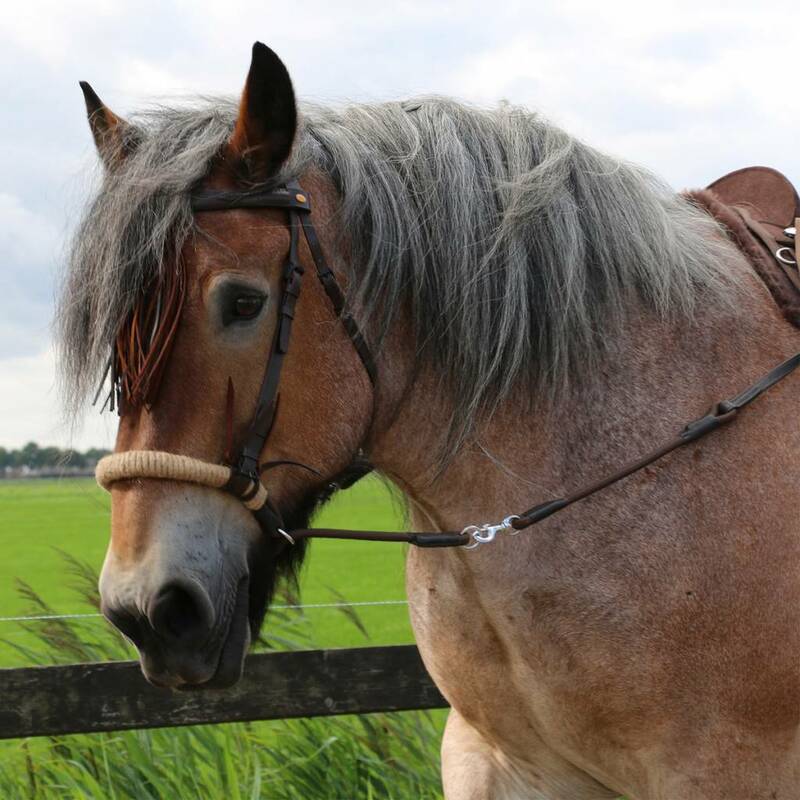 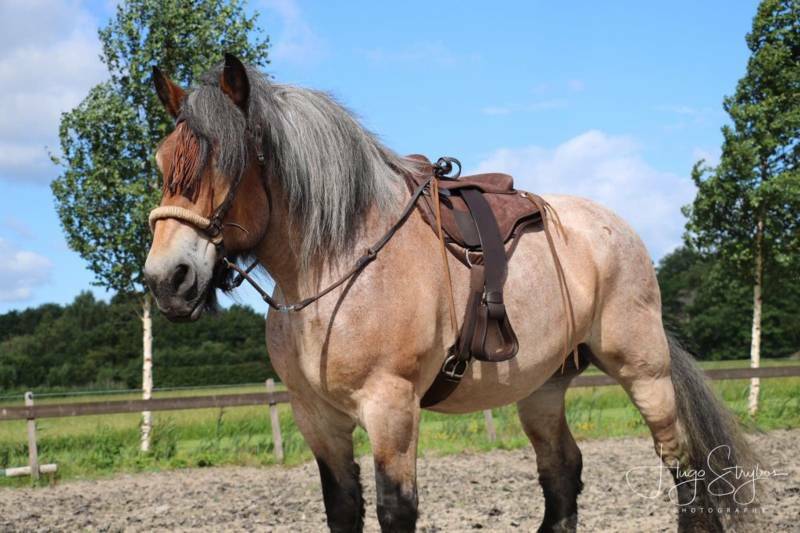 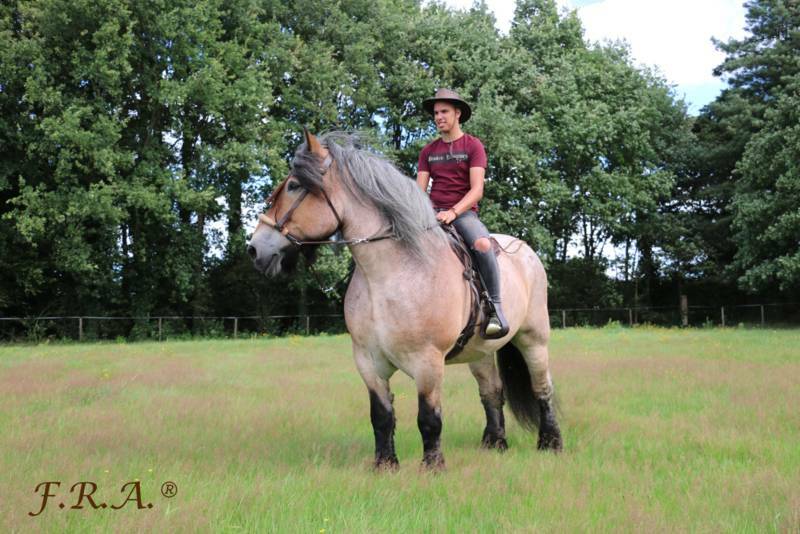 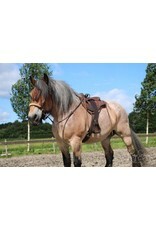 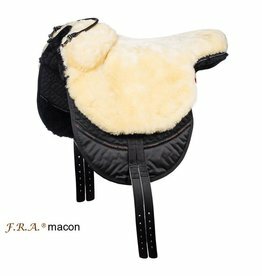 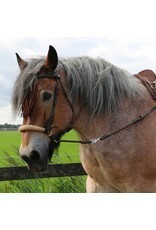 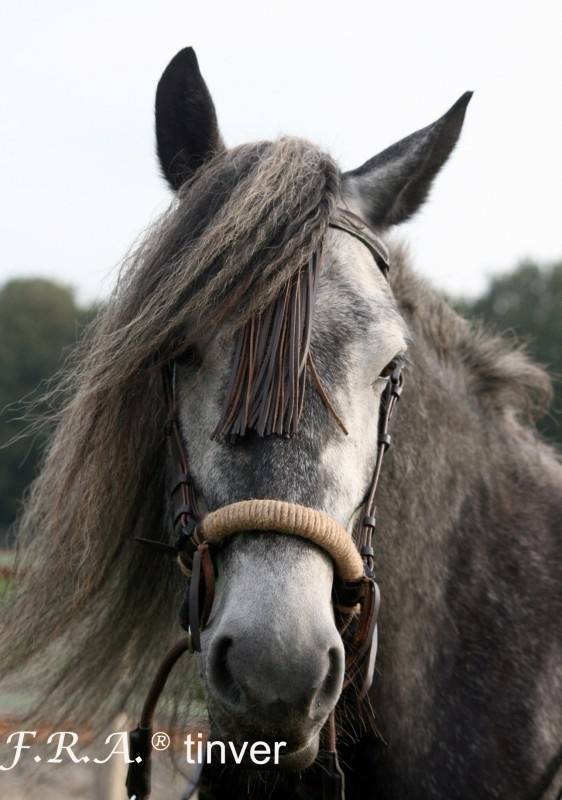 The bridle includes a rein with clip. 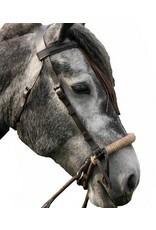 The nose strap is braided with sisal cord. 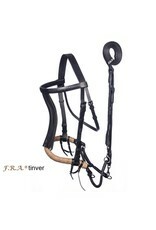 The crossed straps are made of softly woven polypropylene and very strong. The browband has a nice brush.